was the "stupidest thing I have ever done." 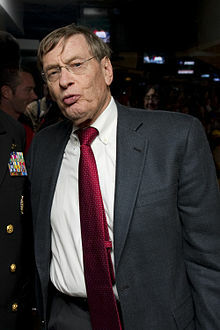 New York - Retired Major League Baseball Commissioner Alan "Bud" Selig admitted in a recent interview that his insistence on moving the Houston Astros from the National League to the American League was the "stupidest thing I have ever done", and he issued an apology to the Astros and their fans. "This whole thing is a disaster and I wish I could go back to the way things were. It was the stupidest thing I have ever done. I am so sorry. The Astros should still be in the National League where they belong." © 2018 - Unofficial News, Inc.